Codeword: "DENK MAL AM ORT 2019"
Fantom e.V. 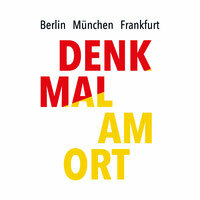 - Network for Art and History is a charitable organization, and supports DENK MAL AM ORT. You will receive a donation receipt.